Hi, everyone! 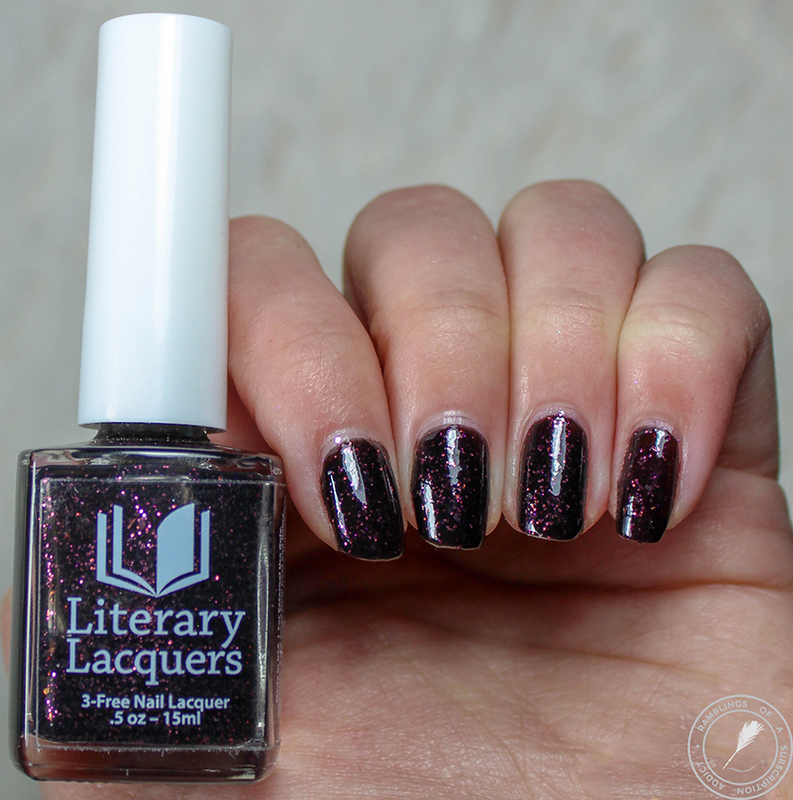 This is the review for one of the polishes from the As You Wish Trio by Literary Lacquers. If you're looking for the home post for this collection, click here! 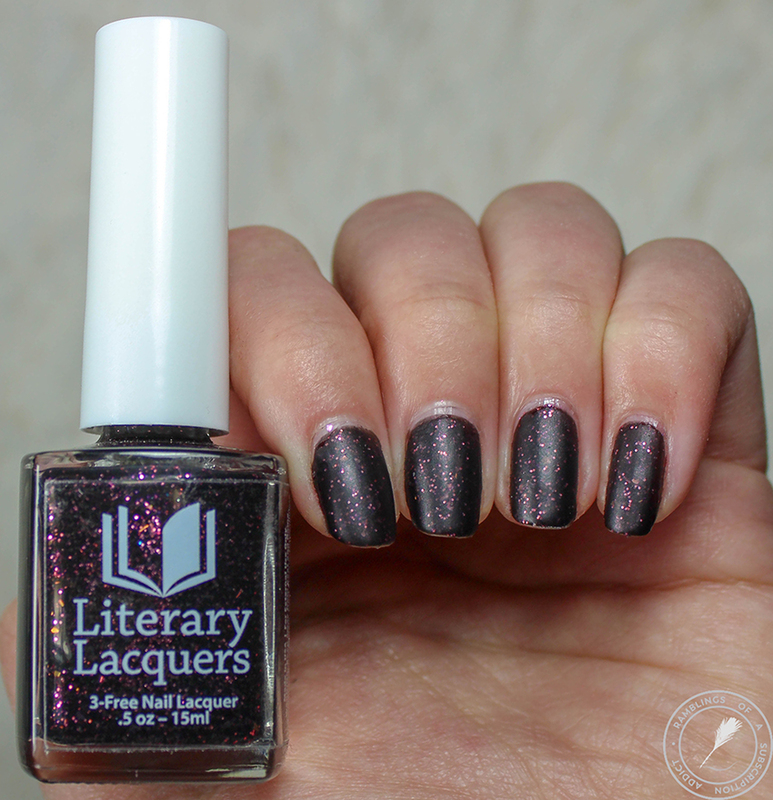 This trio was inspired by The Princess Bride! For a reminder on the details, the collection drops at noon MST on February 2nd. The trio is $27 (while supplies last) or is $10 each. 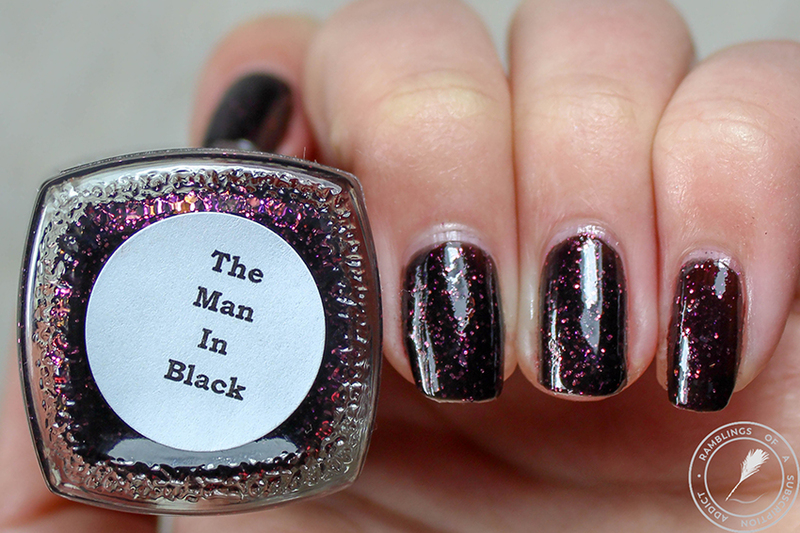 Now, The Man in Black! 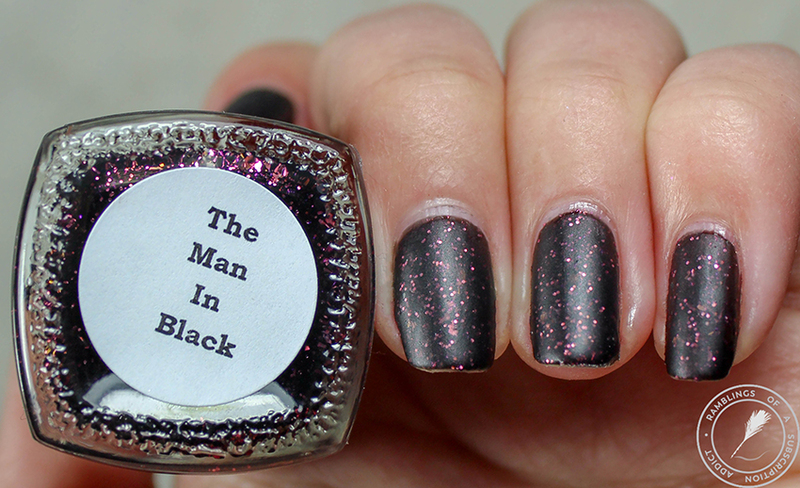 The Man in Black is a black matte with pink glitter and shimmer. 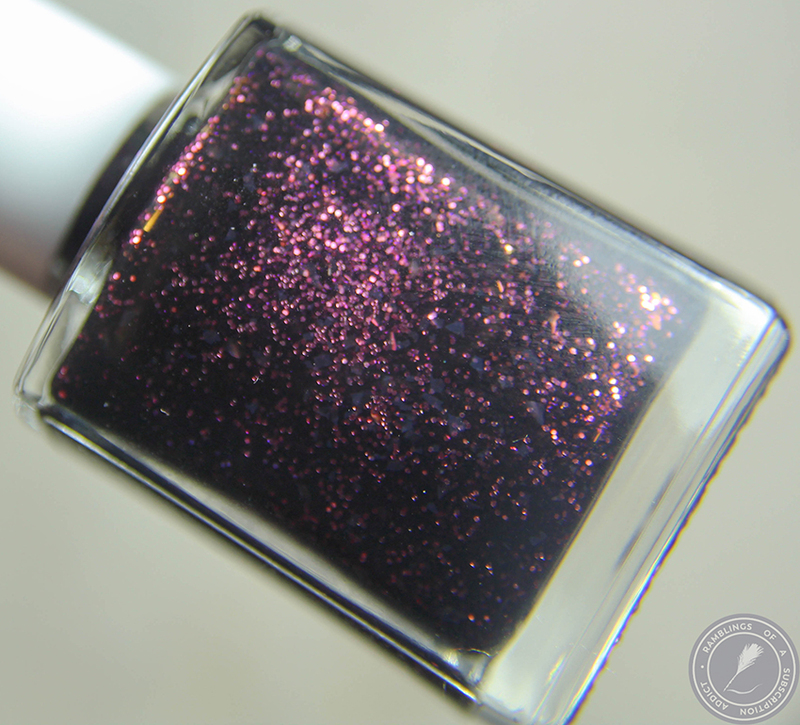 I'll start out by saying that this is a gorgeous polish but it was a little thin. I did have to do more coats because the first two were still showing a lot of visible nail line. 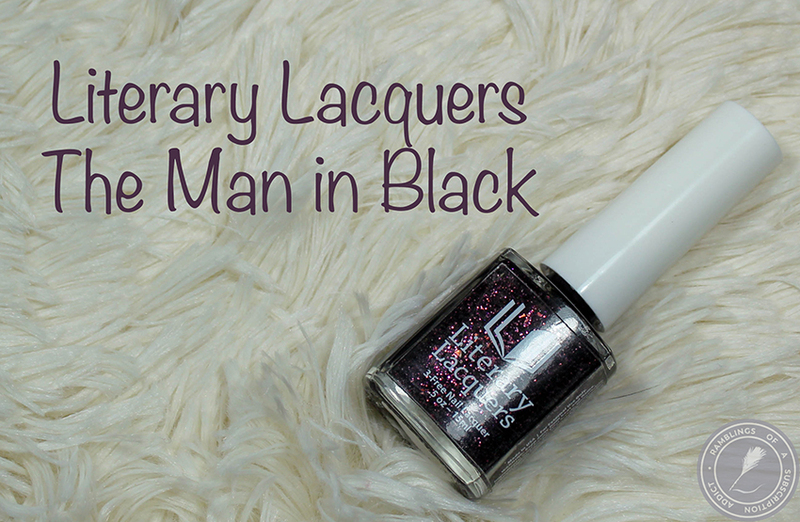 I love the glitters in this black base. 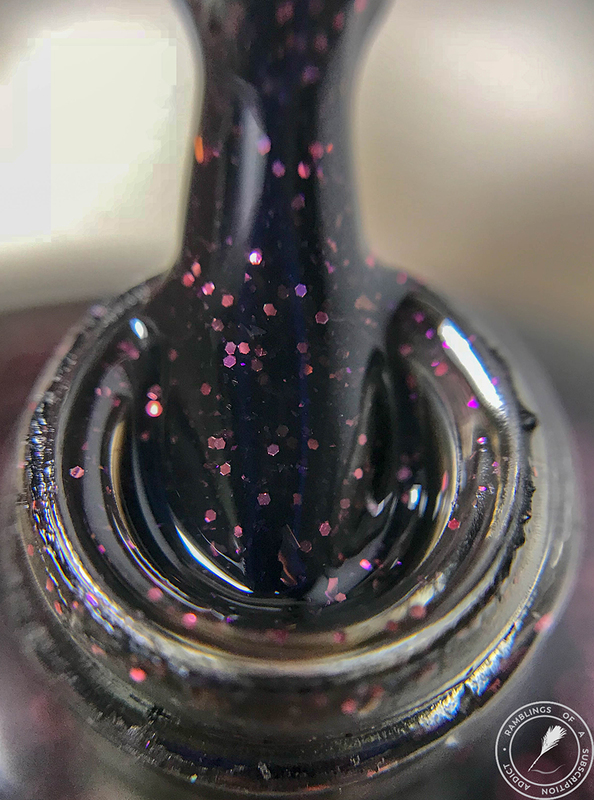 They reflect in a way that makes the base look slightly purple in some lights! 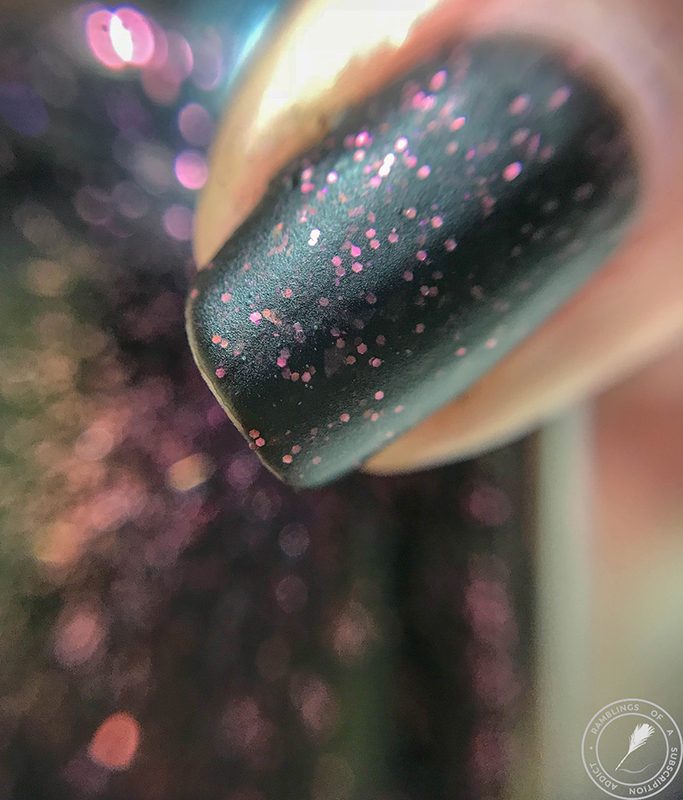 Like with Princess Buttercup, I find that the matte form is the best for the polish. 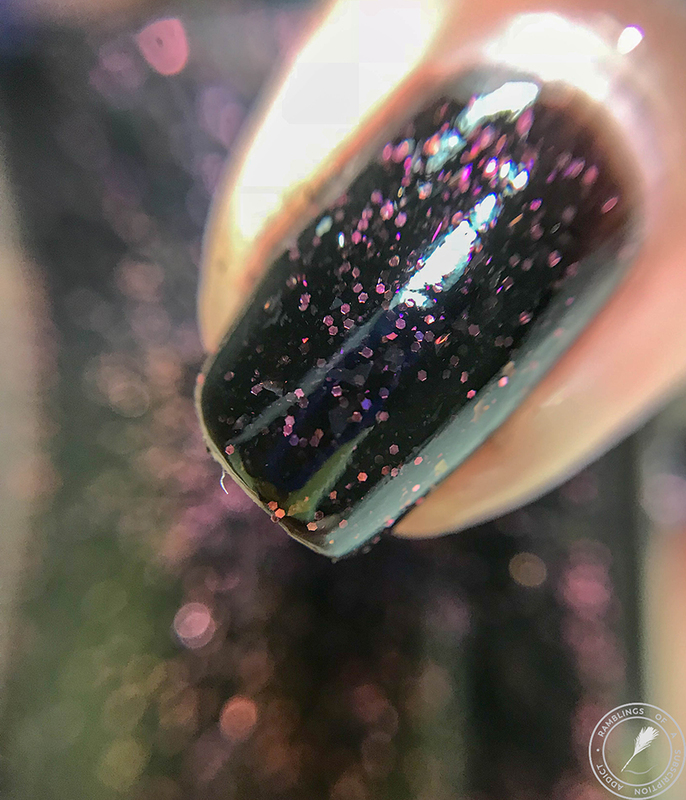 the flakies and glitters definitely pop in a great way! Coats for Opacity: Three thin coats.